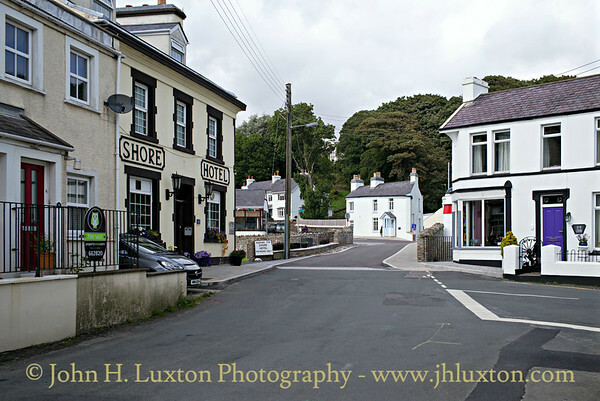 Photographs from the parishes of Lonan, Laxey and Maughold which comprise the Garff Sheading. 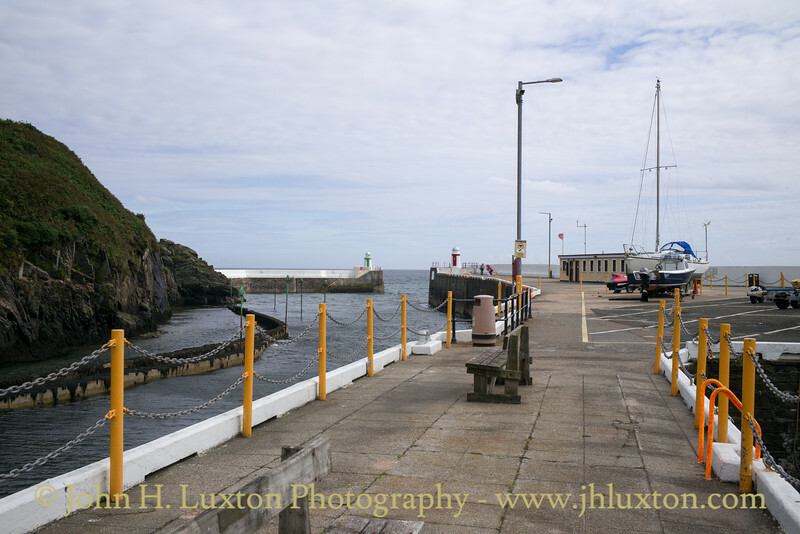 Images are presented in reverse chronological order with the most recent images first. 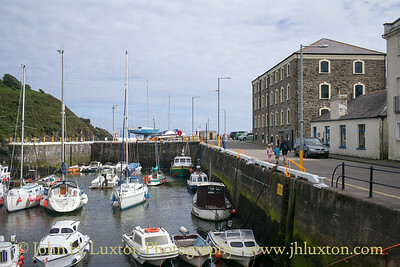 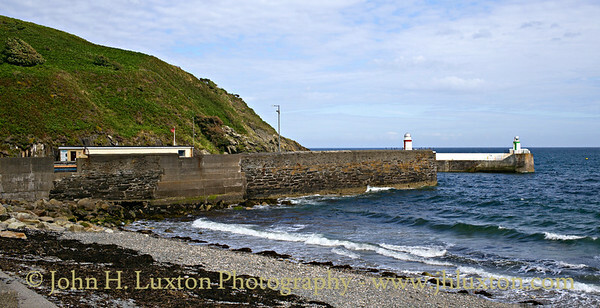 The breakwater piers which protect Laxey Harbour viewed from the promenade. 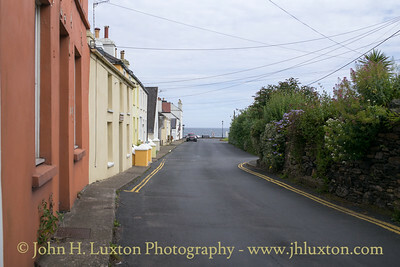 A view along Shore Road towards the promenade. 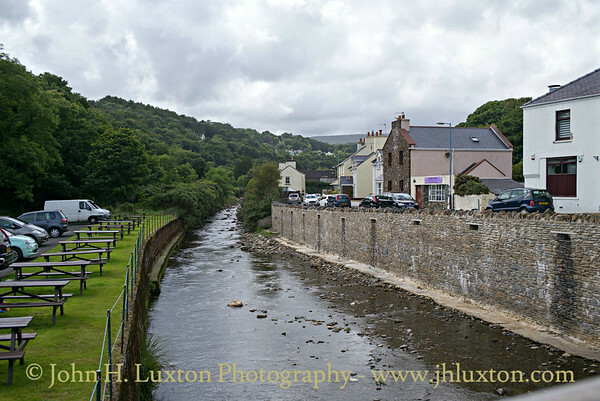 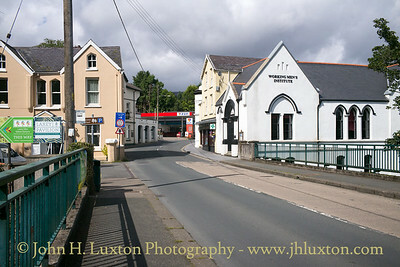 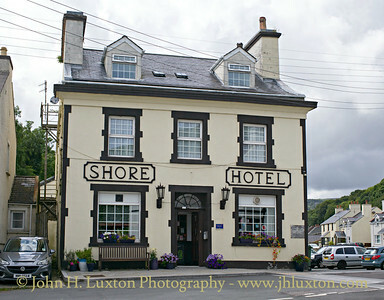 Lower Laxey looking towards the Shore Hotel and new bridge over the River Laxey. 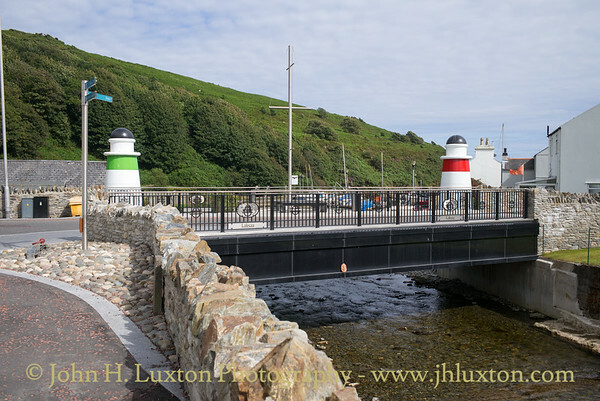 The completed Laxey Bridge which replaced that destroyed in flash foods during December 2015. 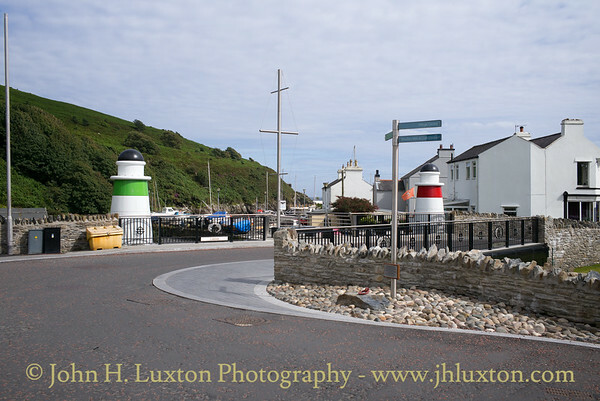 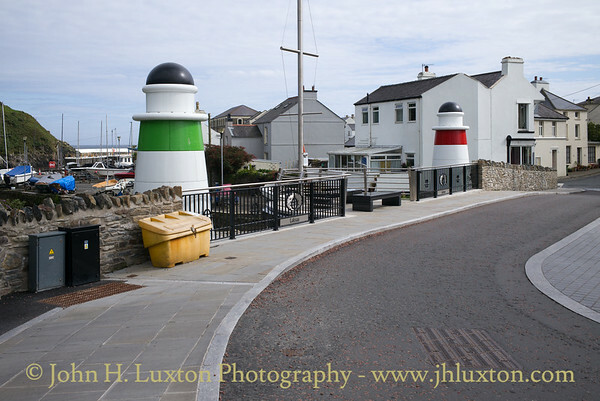 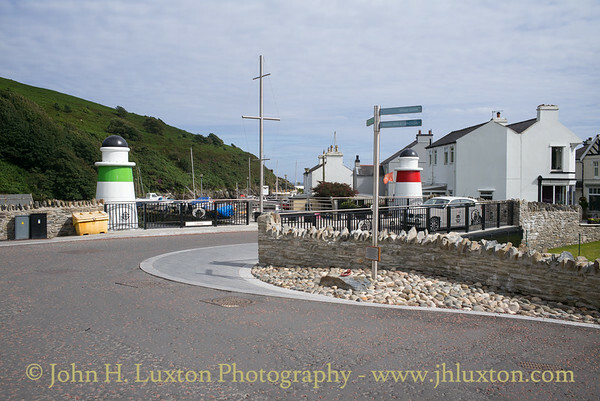 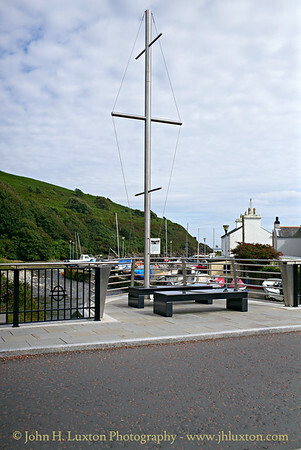 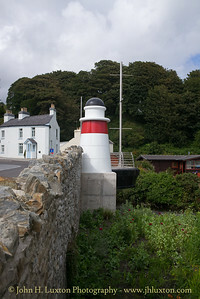 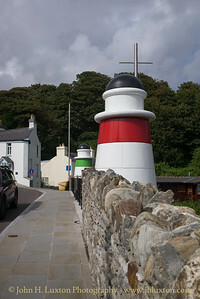 At each end of the bridge is a replica lighthouse sculpture reflecting the twin "pepper-pot" lighthouses which guard the entrance to nearby Laxey Harbour. 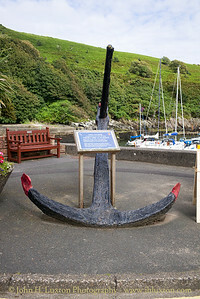 The Thorn Anchor The plaque reads: THIS ANCHOR is believed to be from the ship THORN A980 ton BARQUE which after taking shelter in Douglas bay dragged her anchor & was wrecked on rocks near Derby Castle on the 24th January 1890. 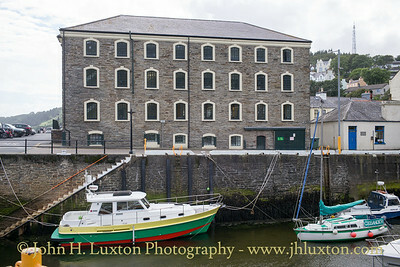 Cargo consisted of preserved meats, furniture, silks, cloth, linen, Guinness stout and spirits. 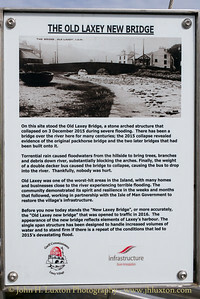 Many cases of spirit were pilfered from the wreck with many report of alcohol poisoning. 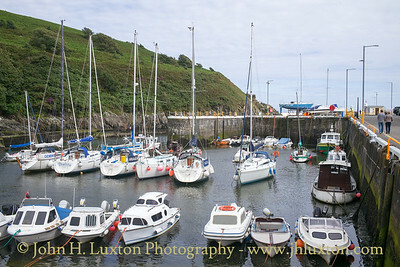 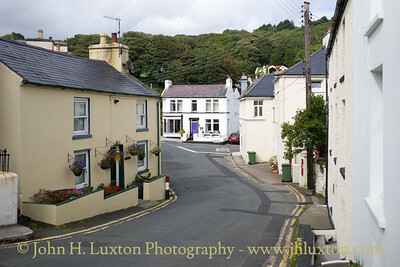 Upper Laxey photographed around the Laxey Working Men's Instritute. 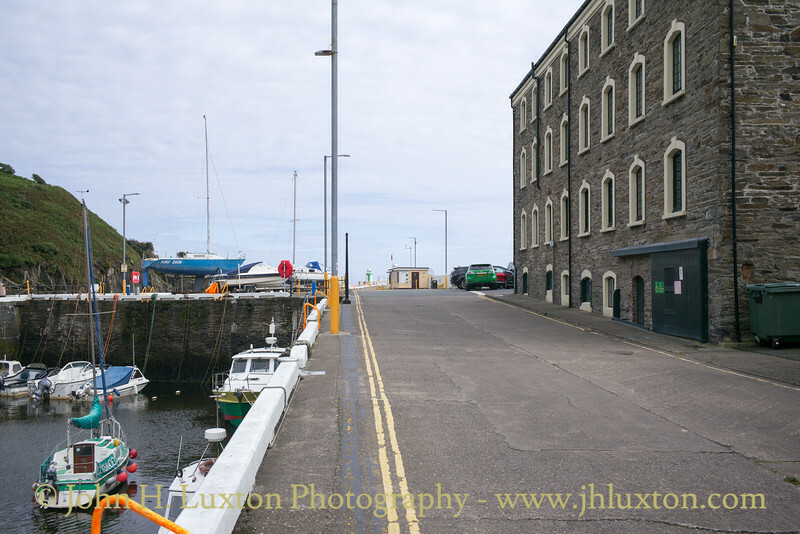 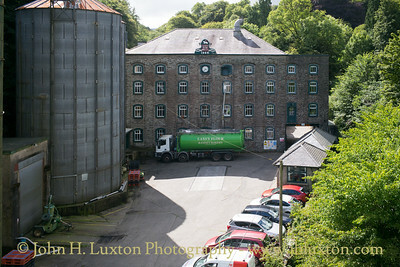 Laxey Glen Flour Mills were established over 150 years ago by the Cornishman Captain Rowe, manager of Laxey Mine who engaged the engineer Robert Casement who had designed the Lady Isabella Waterwheel for Laxey Mine to build the mill. 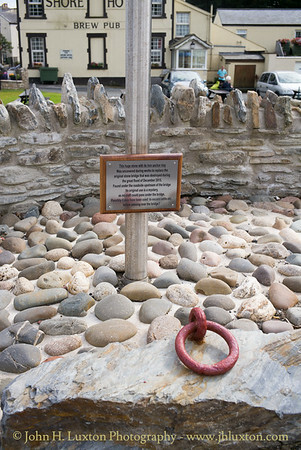 During it's history the building has been badly damaged by fire on three occasions.